With high-tech scoreboards in professional baseball, score-keeping could become a lost art. 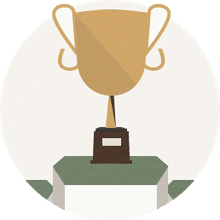 But look around at the next game you attend, and there’s likely to be somebody who’s keeping track with a pencil and paper, a tradition that extends back to the early days of the game. It looks complicated, but it’s not calculus, and if you’re scoring the game for fun, you might not need every single detail. 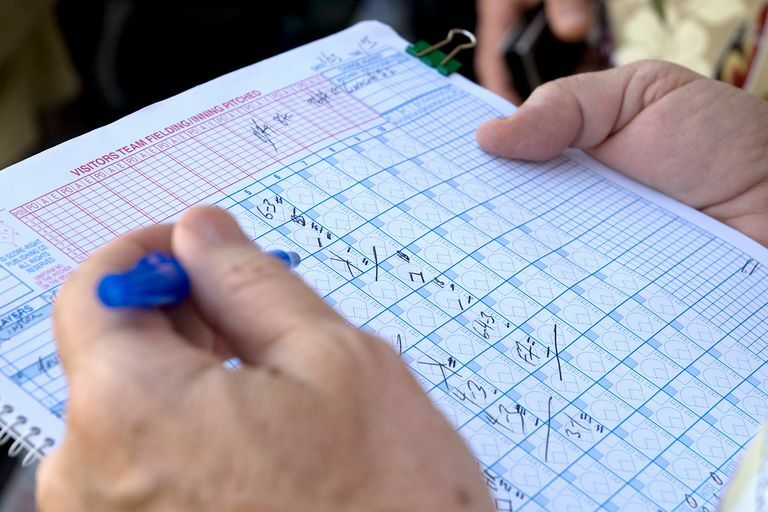 If you’re learning to score so you can serve a team as an official scorekeeper, you need to learn the correct way to keep score with a scorebook or scorecard. The point of the scorecard is to create an accurate record of the game. A person reading a scorecard should be able to recreate the game from beginning to end, just by looking at symbols, letters, and numbers. If you’re an official scorer, you buy a scorebook at a sporting goods store or online. For a free, loose-leaf approach, look for websites with downloadable free samples. There are as many score sheets and formats as there are scorekeepers, and no way is truly the correct way. What your use is and your personal preferences determine how you keep score. As long as it's accurate, it's fine. An important tip. Always use a pencil. No matter if you’re doing this for the first time or have 50 years' experience, you will need to use an eraser from time to time. First, get the lineups for each team. At a professional game, the lineups will be shown on the stadium's scoreboard and announced about 10–15 minutes before the game. At college level or below, a game official or coach can provide the lineups. Fill out the scorecard with the uniform number, name, and position of each player. Using numbers (except for the DH) avoids confusion with the abbreviations for what happens in the game because 1B is a single, 2B is a double, etc. If you’re scoring a softball game instead of baseball, there will likely be four outfielders. If that’s the case, the left-center fielder is 8, the right-center fielder is 9, and the right fielder is 10. And there might even be extra designated hitters in the lineup — players who hit but don’t play in the field or substitute for the fielders, depending on league rules. The Mariners scored one run in the top of the first. This example uses the Seattle Mariners vs. Cleveland Indians game from June 11, 2007. Most scorecards and score sheets have the diamond already drawn in, and you draw a line to the base that the player advances to. In the upper left corner of each box, mark the balls (top line) and strikes (bottom line). Ichiro Suzuki, the left fielder, singles in his first at-bat, so you draw a line from home to first, and write "1B" in the lower right corner, next to the line, to denote the single. Vidro, the second hitter, then grounds out to first, so you write "3U," meaning the first baseman made the unassisted out. Suzuki advances to second, so you draw a line from first to second. Jose Guillen then hits a single, and Suzuki scores. So put a "1B" in the bottom right corner and "RBI" in the lower right. On Suzuki’s line, draw a line from second to third and third to home. Most scorekeepers then fill in the box so that they can easily see runs at a glance. Raul Ibanez flies out to right field, so put a "9" in the box to denote that the right fielder caught it. Kenji Johjima then singles and Guillen advances to second. And then Ben Broussard grounds out to the second baseman, who throws to first, so it’s "4-3." Seattle leads 1-0. Below the lineup, mark Seattle for 1 run, 3 hits, 0 errors and 2 left on base. Notice the line below Broussard to denote that it was the last out. It’s an easy way to see where you need to start the next inning. The Indians left the bases loaded in the bottom of the first. It’s Cleveland’s turn to hit in the bottom of the first. Grady Sizemore flies out on a 3-2 pitch to right field, so write a "9" in that spot. Jason Michaels then flies out to left field, so put a "7" there. With two outs, Casey Blake hits a single on a 2-2 pitch, so you put "1B" in the lower right corner and a line to first base. Travis Hafner then hits a double, with Blake advancing to third. So write down "2B" and put Hafner on second and Blake on third. Jhonny Peralta then walks, so put a "BB" (base on balls) next to his line to first base. Hafner and Blake stay put. With the bases loaded, Ryan Garko flies out on a 1-2 pitch to left field. Mark it with a "7." So the Indians leave three on base in the first inning. Below the lineups, denote that there were 0 runs on two hits with 0 errors and 3 left on base. The Mariners broke through with four runs in the third inning. Let's skip ahead to the Seattle third inning. Carlos Guillen leads off with a single on a 2-2 pitch, so write "1B" and a line to first. Raul Ibanez then follows with a home run on a 2-0 pitch. So mark "HR" in the lower right corner, and two runs scored, so he gets "2 RBI" in the lower left corner. He goes all the way around the bases, as does Guillen. Kenji Johjima then lines out to third base, so put "5" in that space. Ben Broussard flies out to center field. That's an "8" in that space. Adrian Beltre then singles on a 1-2 pitch. Write "1B" and draw a line from home to first. Next up is Jose Lopez, who hits another home run on the first pitch. He gets the same line as Ibanez. Write "HR" in the lower left, "2 RBI" in the lower right, and all the way around the bases. Beltre goes all around the bases as well. Yuniesky Betancourt then flies out to first base for the third out. It was a big inning for the Mariners. On the bottom, it's 4 runs, 4 hits, 0 errors, 0 left on base. The score is 5-0. The Indians scored three runs in the fifth inning. The Mariners tacked on two more in the fourth to make it 7-0. Let’s skip ahead to the Indians’ fifth inning. It starts on the eighth line as Josh Barfield grounds out to the third baseman ("5"), who throws to first ("3"). So it’s 5-3. Then Kelly Shoppach hits a single, so write "1B" in the lower left and a line from home to first. Next up is Grady Sizemore, who singles. Shoppach advances to second, so draw a line from first to second. Jason Michaels does the same. Sizemore goes to second and Shoppach goes to third. The next one gets a little complicated. Casey Blake is the hitter, and he hits a ground ball to shortstop, who throws home to force out Shoppach at the plate. He gets to first base. So draw a line that interrupts Shoppach’s progress between third and home, and move Sizemore to third and Michaels to first while putting Blake on first. In Blake’s box, it’s an "FC" (fielder’s choice, because he didn’t go for the out on the batter), and "6-2," shortstop to catcher. The next hitter is Travis Hafner, who hits a single. Both Sizemore and Michaels score, and Blake advances to second. So Hafner gets a "1B" and advances to first. He also gets "2 RBI." Sizemore and Michaels advance all the way home, to color in their diamonds. Draw a line from first to second in Blake’s box. Next up is Jhonny Peralta, who hits a single that scores Blake. Hafner goes to second. So Peralta gets "1B," an "RBI" in the lower left corner, and a line from home to first. Complete the diamond for Blake and color him in, and move Hafner from first to second. The inning ends when Ryan Garko flies out to right field. That’s a "9." So on the bottom line, it’s 3 runs, 5 hits, 0 errors and 2 left on base. The Indians scored two runs in the sixth. Nixon flies out to center ("8"). Shoppach hits a double and Barfield scores, so write "2B," a line from home to first and first to second, and "RBI" in his box. Color in Barfield's diamond. The Mariners switch pitchers from Cha Seung Baek to Eric O’Flaherty. On the Mariners sheet, you can start filling in Baek’s box. He goes 5 1/3 innings, allows 10 hits, 1 walk, 4 strikeouts and faced 27 batters. But you can’t fill in his runs allowed line yet. He was responsible for putting Shoppach on second. Sizemore then hits a single to left and Shoppach goes to third. Sizemore gets "1B" and a line from home to first, Shoppach’s line extends to third base. Sean Green replaces O'Flaherty. O’Flaherty gets 0 IP, 1 hit. He’s responsible for Sizemore, who is on first base. Michaels strikes out swinging. Put a "K' in his spot. Blake then hits a single that drives in Shoppach. Write "1B" and an "RBI." Move Shoppach home and color in his diamond. Sizemore advances to third, and the official scorer rules that Sizemore advanced because of an error on the left fielder. Put "E7" next to the line between second and third in Sizemore’s spot. That closes the book on Baek. All of the five runs are earned. The Mariners changed pitchers again, to George Sherrill. So in Green’s line, put 1/3 of an inning, 1 hit, and 1 strikeout, in two batters faced. He’s responsible for Blake, so you can’t fill in his runs yet, either. Hafner pops out to third base. So that’s a "5." That ends the inning and closes the book on both O’Flaherty and Green, who get a "0" next to runs and earned runs. A side note: O’Flaherty’s run likely would have been unearned if Sizemore had scored because he advanced one base on an error. Under the Indians in the sixth, that’s 2 runs, 4 hits, 1 error and 2 left on base. The Mariners scored the winning run in the top of the ninth. The Indians score two more runs in the eighth inning and tie the game at 7, but they leave the bases loaded again. You can follow that on the finished product, but skip ahead to the top of the ninth inning. Jose Vidro leads off with a single. Write "1B" and a line to first. The Mariners then call for a pinch runner, Willie Bloomquist. Denote that by adding his name underneath Vidro and putting "PR" next to his name. In the ninth inning box, put "PR" next to first base, denoting that’s where the pinch runner went in. Jose Guillen then hits a fly out to center field, so place an "8" in that box. Raul Ibanez then hits a double that drives in Bloomquist. Put "2B" on his line, along with an "RBI." Color in the Bloomquist diamond to denote the run scored. Kenji Johjima then hits a single, and Ibanez goes to third. Draw a line from first to second for Johjima and a line from first to second for Ibanez. Next up is Ben Broussard, who hits a fly out to right field. Ibanez tries to score from third, but he’s thrown out at home. So it’s a 9-2 DP. Right field to catcher, double play. In Ibanez’s diamond, draw a line between home and third to denote that he was thrown out at home. Add it all up and fill in all the boxes. Finish off the pitching lines. Note that sacrifices and walks don’t count as at-bats. And here's a link to the MLB.com box score from the game.